Original artwork by Shirley Netherton. 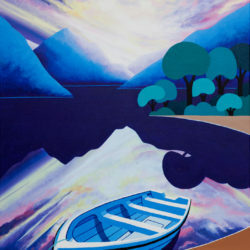 This painting was inspired by three photographs! 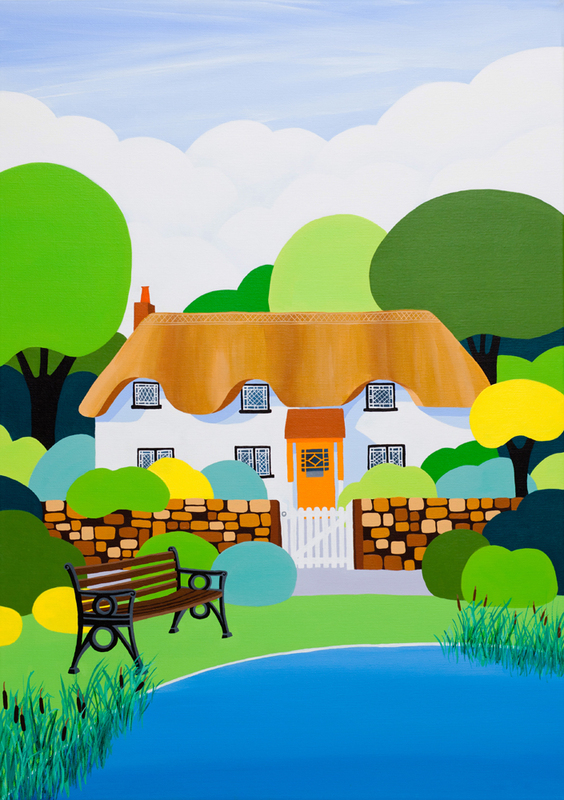 The first was of a thatched cottage in Hinton, Dorset which has been combined with a second image of a duck pond in Ashmore! 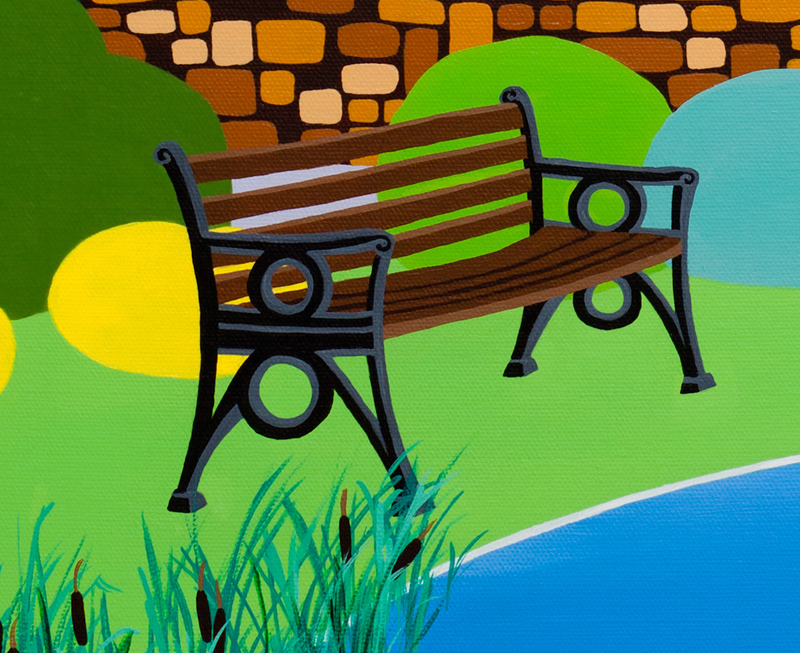 The third addition was the bench which is actually from my local park in Truro, Cornwall. 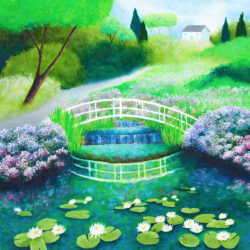 I guess you could call this artistic license but it has created a truly charming image. 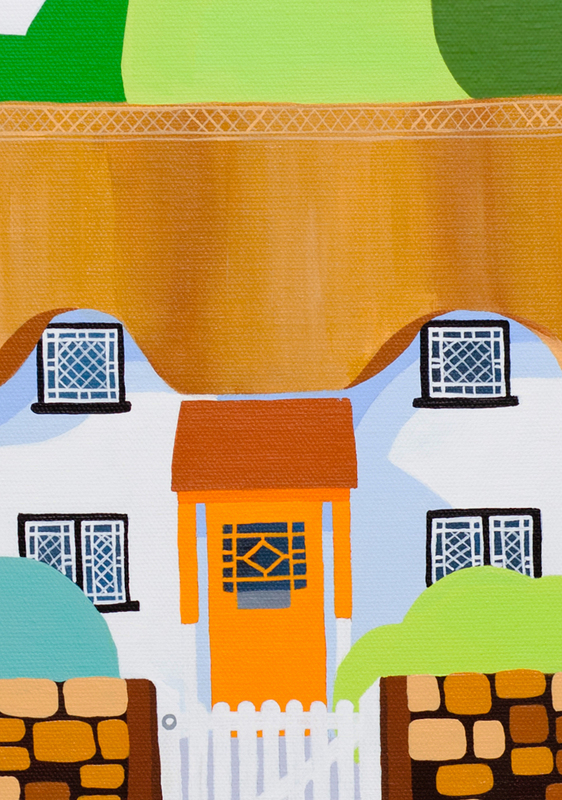 There are some lovely warm tones in this painting – it feels like a summer’s day, just right for taking some time away from the hustle and bustle of life to sit on the village bench. 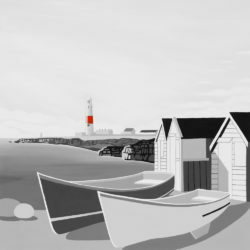 This painting is also available as a giclee print. This original artwork comes with a Certificate of Authenticity. Signed by the artist.